Could you use an extra $500 in fun things for the holidays? I bet you could! Check out this great giveaway from Oriental Trading! Oriental Trading's Gift-A-Day Giveaway runs November 18th through December 13th, 2014. 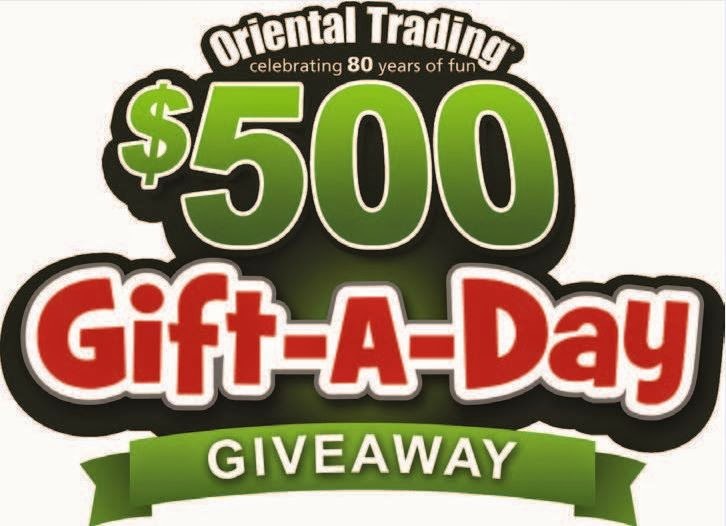 Enter daily for your chance to win $500 in Oriental Trading product. Imagine the fun you could have this holiday with $500 in Christmas toys, candy, stocking stuffers and party supplies! Beginning November 18th, visit www.giftadaygiveaway.com daily for more information and your chance to enter. No purchase necessary.